Pinups Hair Salon - Meet the team! 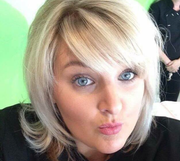 She is fully qualified at NVQ level 2 and 3 standard, and level 2 in Barbering. She is also qualified by City and Guilds in Hair Extensions and Make up. 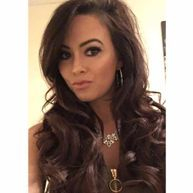 Jodie has 9 years experience in hair dressing, qualifications at NVQ Level 2 and 3 Standard. She has a natural flare for Wedding hair and creative 'up dos' and can put her eye to any thing and create the outcome quickly and effortlessly. She has the passion and imagination which shows in her work. Clarissa is our newest member of the team. With qualifications at NVQ level 2 and 3 standard in all aspects of Hair dressing, and a City and Guild qualification in Make up. Clarissa is a funny, bubbly girl who is passionate about her work. Her determination to get things right is second to none. She has fitted in perfectly and already has shown how she looks after her clients as friends!